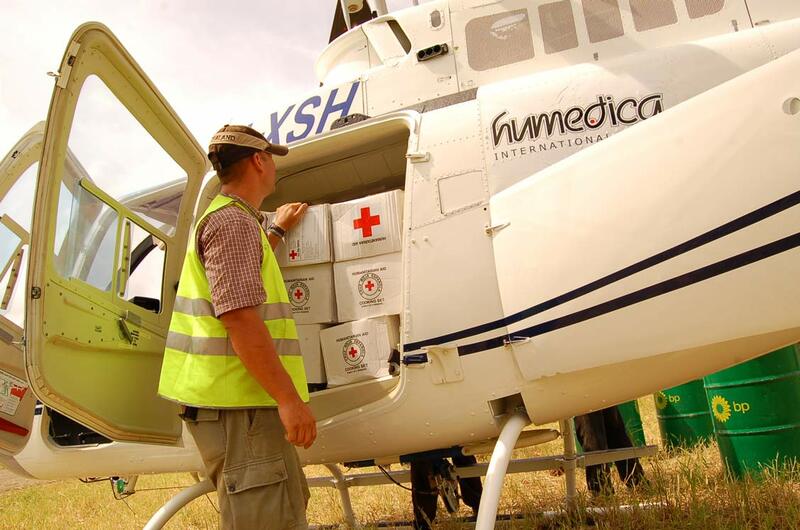 Cargo flights are a key part of disaster response. They take life sustaining aid to the people affected. There are many different types of cargo. The UN divides disaster response into 9 clusters. Each is normally led by a UN agency. Not all disasters require all the clusters. But cargo flights may be needed to support any or all of them. They are Nutrition (UNICEF). Health (WHO). Water/Sanitation often called SANWAT (UNICEF). Emergency Shelter (UNHCR/IFRC). Camp Coordination/Management (UNHCR/IOM). Protection (UNHCR/OHCHR/UNICEF). Early Recovery (UNDP). 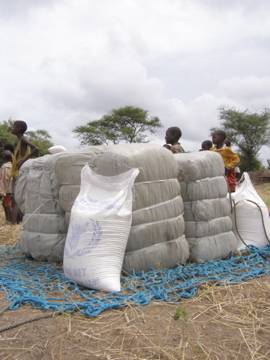 Logistics (WFP). Emergency Telecommunications (OCHA/UNICEF/WFP). Why not check out what the UN says about the clusters. Each cluster can have its own special cargo flights. We have set ourselves the target of helping get the right aid to the right people. Cargo flights – Is there room for more? Medical cargoes can be of all sorts. The most demanding are vaccines that need to be kept cool. This means we need to help establish a ‘cold chain’. The refrigerated trucks we see on the highway are a link in a cold chain. Our helicopter can be too. This picture shows normal medical stores. The bulkiest are hygiene packs for people. After a disaster, there can be secondary diseases like cholera. These are most often caused by poor sanitation. So the SANWAT cluster wants a hygiene pack delivered for each family. In big camps this is done by road. However, isolated villages need a helicopter to supply them. When the immediate medical needs are met, people need food. 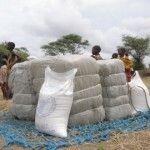 The World Food Program (WFP) oversees this. The quantities of food can be very large. Then large helicopters are needed. They can deliver the quantities to sustain communities until the roads open. Often these can be in under-slung loads. The choice between under-slung and internal loads can be driven by the size of helicopters present. It can also be driven by the size of landing sites. It can also be driven by the fact that under-slung loads are generally quicker to deliver. Hook equipped helicopters are very useful in disasters. Our helicopter has a hook. Shelter materials are normally bulky. Flying them can be complex. As under-slung loads big bolts of canvas or plastic can have a flight of their own. So skill is required to fly and deliver them. Also shelter materials are difficult internal loads. They require careful loading. Many big helicopters have specialist load masters. They ensure the loads are properly distributed. They also check for banned cargoes like rifles and compressed gas containers etc. The shelter cluster is led by UNICEF.